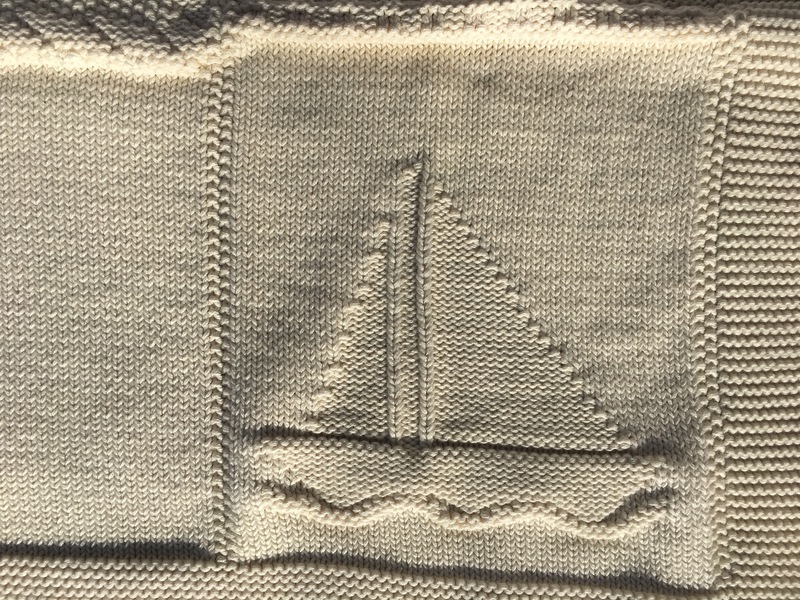 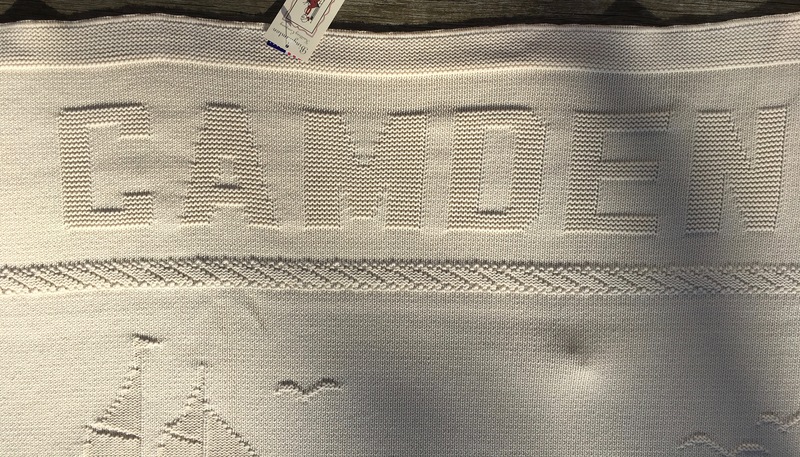 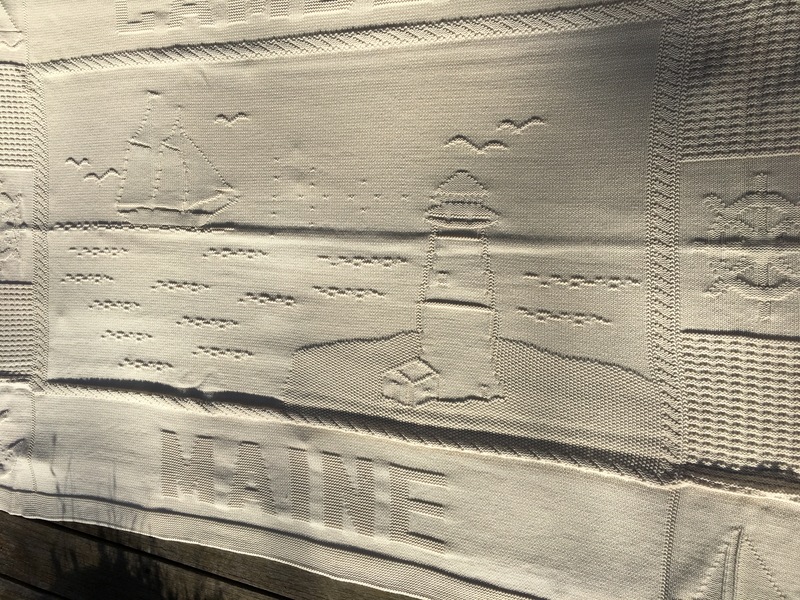 100% natural cotton throw is custom made for us with raised designs of lighthouses, ships, anchors, and seagulls. 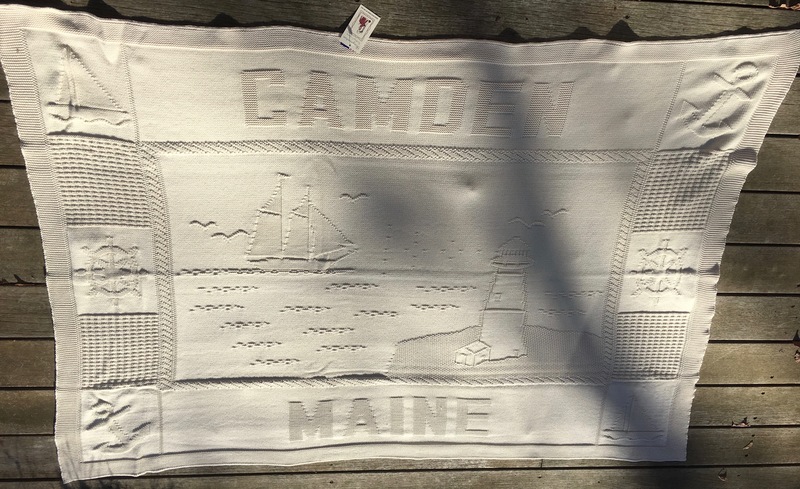 Made in the USA, this super soft and cozy throw is 60"x72" and machine washable. 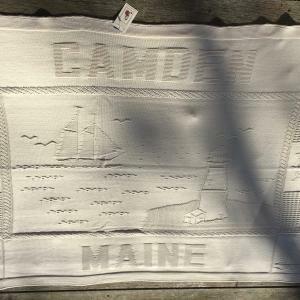 Perfect for a chilly evening by the fire.